All criminal charges are serious matters with potentially life-changing repercussions. However, when defendants are accused of something as serious as Burglary, the stakes are even higher. Burglary charges evoke images of defendants lurking about and unlawfully breaking into people’s homes. Making matters worse, defendants often have additional criminal charges. They not only face potential prison time, but may face the difficulties that go along with carrying more than one felony conviction. Fortunately, Alexander has successfully defended against Burglary cases for years. His “Not Guilty” jury trial verdicts and dismissals show acquittals and dismissals in numerous Burglary cases, including felony strike offenses. Burglary in the first degree occurs when one enters or remains unlawfully in a building with the intent to commit a crime against a person or their property and either assaults another during the crime or is armed with a deadly weapon. 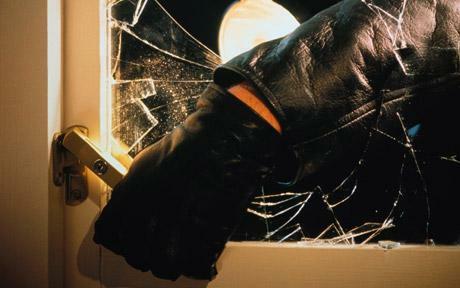 Burglary in the first degree is a class A felony punishable up to a life sentence in prison and a $50,000.00 fine. Burglary in the second degree happens when one enters or remains unlawfully in a building other than a vehicle or dwelling with the intent to commit a crime against another person or property. Burglary in the second degree is a class B felony punishable up to 10 years prison and a $20,000.00 fine. Residential burglary occurs when a person enters or remains unlawfully in the dwelling of another with the intent to commit a crime against a person or property. It is a Class B felony punishable up to 10 years prison and a $20,000.00 fine. If you or someone you care about faces Burglary charges in Skagit County or Whatcom County, call attorney Alexander Ransom today for a free, no-pressure case evaluation. Alexander has a reputation in the legal community as an aggressive, effective and experienced criminal defense attorney. Alexander is interested in getting you the best results possible, minimizing the negative impact these charges have on your life.